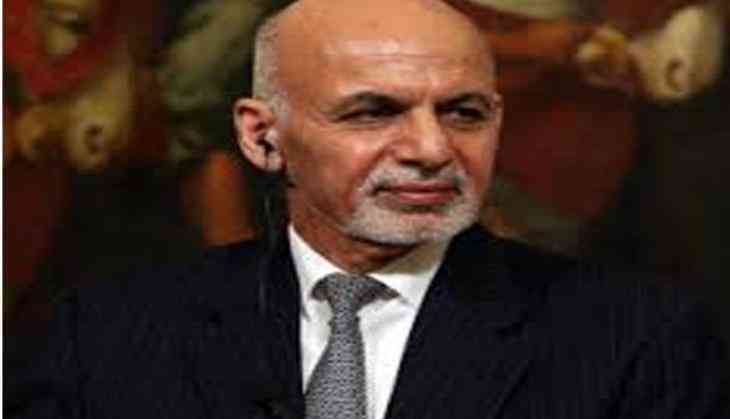 Delivering his opening speech at the Kabul Process Conference on 6 June, Afghanistan's President Ashraf Ghani made a scathing attack on Islamabad, saying his country is suffering from an "undeclared war of aggression from Pakistan." He said Taliban-sponsored terrorism is creating a platform that brings terrorists from all over the region to Afghanistan. Ghani asked Pakistani representatives: "What will it take to convince Pakistan that a stable Afghanistan helps them and helps our region? ""Our problem, our challenge, is that we cannot figure out what it is that Pakistan wants," Tolo News quoted Ghani, as saying. Extending an olive branch to the Taliban, Ghani said if the group is prepared to join peace negotiations, he will allow them to open an office. However, this was their last chance, Ghani warned. Ghani said,"Afghanistan has been on the frontline of terrorism in the world and his government was committed to fighting terrorism but that it wants to build strong political and economic ties with all neighboring countries." Senior Pakistan foreign ministry officials are representing Pakistan at an international conference, 'Kabul Process', aimed at finding a political solution to the lingering conflict in Afghanistan. Additional Secretary Tasnim Aslam and the director general Afghanistan, Iran and Central Asia at the Foreign Office are attending the conference. Ghani pointed out to delegates attending the meeting that 75,000 Afghans were killed or wounded in 2015 and 2016.He also said that in the past two years, 11,000 foreign fighters have come in to Afghanistan to fight for Daesh.Delegates from 23 nations and the European Union, the United Nations and NATO are attending the two day meeting to discuss the current Afghan situation. The initiative has been taken by Afghan President Ashraf Ghani as his administration is facing a daunting challenge to stabilise the country in the face of growing threats posed by the Afghan Taliban as well as Da'ish. This conference comes after the Ministry of Interior (MoI) said the explosives used in Wednesday's deadly truck bombing near Kabul's Zanbaq Square were from Pakistan. "Pakistan is the key planner of this incident like in the past, but our security team is investigating the incident and these investigations have not been completed," said MoI spokesman Najib Danish. According to the MoI, Pakistan's spy agency Inter-Services Intelligence (ISI) supplied the Haqqani network with explosives to conduct the bombing in Kabul that killed over 100 people. Does diplomatic immunity shield rapes, slavery and drug trafficking?